I’ve always had a compulsion to doodle. In staff meetings, when I was a manager, my boss accused me of not paying attention to him while he talked because I was doodling in my notebook. No amount of talking could convince him otherwise. I don’t work there anymore and I’m still doodling; while talking on the phone, listening to a podcast or webinar, kind of watching TV. It just feels good to doodle. You can’t call it sketching because there is no subject that I’m drawing. I’m just making little designs with my pen. I’ve heard there is a technique called “Zentangle” that is sort of what I’m doing, but not really. I just want to make little doodles on paper. 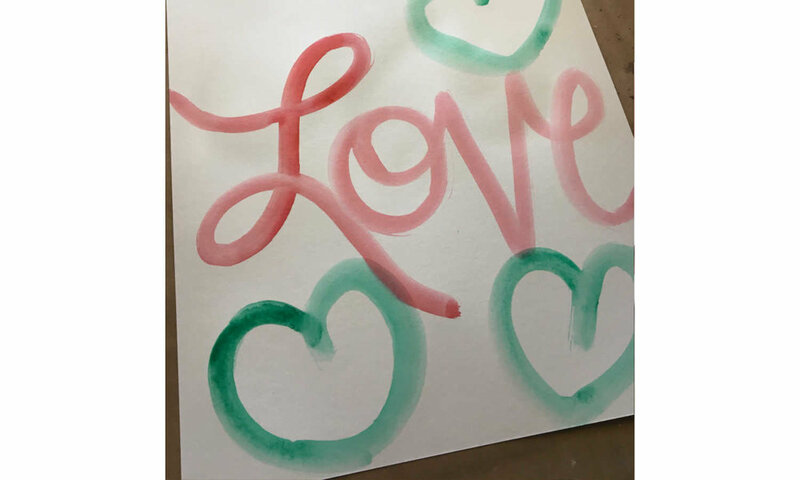 I start by using watercolor to paint a word on 12x15 inch watercolor paper. The idea is to make big strokes. Then I cut or tear it up into 4 inch squares. These will fit nicely in my purse. I like the structure of the word on the watercolor paper. It means I have some guides for my marks without having to draw them out. It’s a great way to relive stress for me. Try it out. 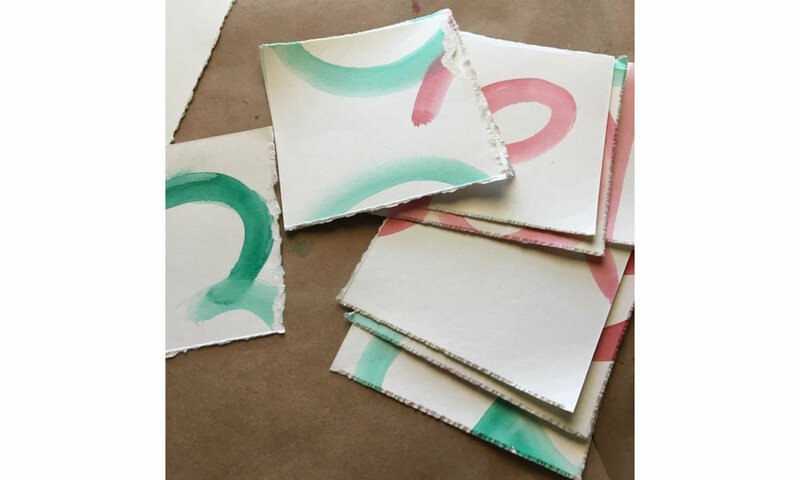 If you’re a doodler, make these little squares with watercolor marks. 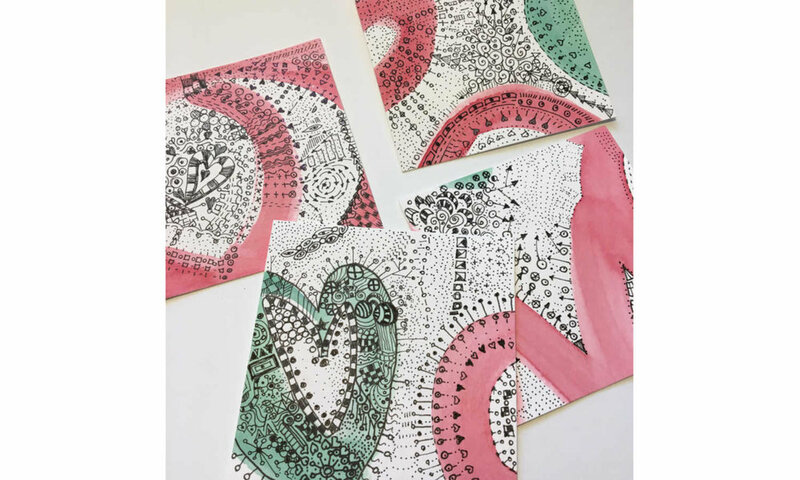 After you’ve made a few, you’ll love looking at them. I’d love to know if you try this and what you think.